Where does the Clifton Deer Program operate? 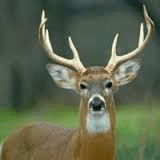 What is the process for capturing, sterilizing and releasing deer? Is the procedure humane? What is the surgical mortality rate? Why are you sterilizing female deer and not males? Why are sterilizations only done in Fall or Winter? Are deer put at risk by having surgery in cold weather? What is the impact of sterilization on the fetus of a pregnant doe? How do ovariectomies differ from tubal ligations? Will tubal ligations ever be used? Why choose sterilization over immunocontraception? Which is more invasive – immunocontraception or sterilization? Will we eventually run out of deer? Why spend time and money preserving deer that could provide meat for food pantries? We operate within a study area comprising the ~1 sq. mile area bounded by I-75 to the North and West, Clifton Ave. to the East, and Ludlow Ave. to the South. The capture and sterilization team works at night when deer are most active and people are not. Wildlife professionals dart female deer with tranquilizers at bait stations and private drives (where volunteered), and from vehicles on public roadways within the study area. The deer are tracked until they are unconscious. A recovery team recovers and transports the doe to a temporary surgical sterilization site. A licensed and trained veterinarian then performs the ovariectomy and gives the deer injections of long-acting antibiotics and pain medication. All sterilized deer are fitted with numbered ear tags, and selected mature does are radio-collared to facilitate future capture efforts, track migration rates and patterns, and assess survival rates. Data regarding size, age and condition is also collected. Treated deer are then returned to the area where they were captured (in locations with the lowest likelihood of human disturbance during recovery), administered a reversal agent, and are monitored for complications with recovery. The entire process, from initial darting to release, takes approximately 1 to 2 hours per deer. There are several reasons: (1) Deer can be more easily lured to bait stations and captured when foliage, their normal food source, is scarce; (2) they are more easily tracked when the forest canopy cover provides minimal visual obstruction; and (3) sterilizations done after March 1st, , when female deer are typically entering the late stages of pregnancy, are more complicated as the surgeon must work around an enlarged uterus, increasing risks to maternal and fetal health. Further, pregnant deer give birth typically between April and July, and may still be nursing as late as September. It depends upon the stage of pregnancy. The gestation period of a female deer is typically between 190 and 210 days (a little less than 7 months). Most deer will become pregnant in November or December and will give birth between the months of April and July. Up to approximately the 150th day of pregnancy (the 5th month), the ovaries are necessary to sustain a deer’s pregnancy, so sterilization will res in miscarriage. The fetus at this stage of pregnancy is still extremely small (likely less than 1 lb. ), and there is no evidence that deer experiencing miscarriages under these circumstances are harmed. Ovariectomies involve the removal of the ovaries; the deer becomes infertile and will never experience estrus (i.e., go into heat) again. Tubal ligations involve the tying of the deer’s fallopian tubes to prevent implantation of a fertilized egg in the uterine lining. Deer with tubal ligations continue to experience estrus, and because they do not become pregnant after breeding, they may continue to cycle for up to 5 months. Having a large number of female deer repeatedly going into heat over a multiple month period has been associated in one field study with an increase in the number of bucks drawn to the study area; even though the population of female deer and fawns declines with tubal ligation, the overall population may not be reduced (at least during the breeding season) because of the influx of bucks. The Ohio Division of Wildlife estimates there are 700,000 deer in Ohio, with 186,000 “harvested” in 2017-2018 alone. Of the many social and political factors that contribute to human hunger, we see no evidence that a shortage of deer generally, or the protection of our nearly tame small urban deer herd, is one of them.